Experienced industry marketers have pointed out that marketing automation is the next generation of senior living marketing strategy. Without automation, senior living sales teams are missing opportunities to reach potential clients and key decision makers. And that affects your bottom line. Marketing automation offers insights into the behaviors, interests, and needs of individual leads. That kind of information is critical when your sales team is trying to convert a lead into a move-in. If your sales team knows exactly what the lead wants, converting that person becomes much easier. By tracking what your website visitors request about your property off your website, you can follow where that lead is at in their buying process. The more touch points you offer on your website, the more data you can obtain from your prospect. And that data makes it possible to market back to them on a personal level. This type of personalized communication makes a real difference in senior living marketing. Helps seniors move through the sales process faster. Seniors, as well as their adult children, love to get timely responses to questions and content. Automation makes this easier by engaging interested seniors with relevant content and gauging their response. Quick engagement with high quality information will help the lead reach the decision point faster. And that is critical in senior living marketing these days. It is more than likely your prospect is looking at more than one senior living community. A carefully crafted set of emails will help to keep your brand top of mind and educate your prospect on your unique selling points. This helps nurture the lead further down the sales funnel. As they reach the decision-making point, you can provided targeted information and the option of contacting a sales person to talk further. Marketing automation software can track what web pages a lead has the most interest in and which offers they signed up for. This information offers critical insights into what is of most interest to the lead. One lead might be interested in a small single bedroom apartment and the social programs. Another lead might be interested in a larger unit and what healthcare services are available. The sales team can use these details in making their pitches and converting a lead into a move-in. The power of marketing automation is the ability to gather information and nurture leads through the sales process. Then, the sales team can leverage and gather information to convert the sales-qualified lead into a paying resident. Making this critical link between marketing and sales is why marketing automation is so critical in the senior living market today. Consumers like certain brands. They develop a trust that the brand’s products are of the right quality and a good value. That trust, along with other positive emotions, causes consumers to develop brand loyalty, where they tend to buy certain products from particular brands now and into the future. 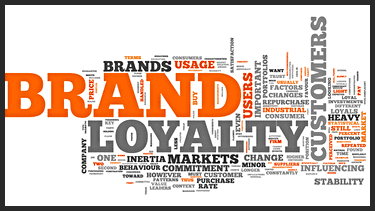 How brand loyalty works depends on many factors, age and status in life being two. It is critical to understand how a particular generation develops brand loyalty. The insights gained by this understanding make marketing to the generation in question much easier. Let’s look at Generation X for example. What Makes Generation X (Gen X) Unique? Generation X is usually defined as those born between 1965 and 1980. This generation sits between the much larger Baby Boomer and Millennial generations. Because they are smaller than those two generations, many marketers forget they exist. Members of Generation X straddle a critical divide. They remember times when Internet access wasn’t the norm. They grew up with a more traditional business model. However, they also came of age at the beginning of the Internet revolution. They have adapted quite well, using the Internet in many of the same ways their younger Millennial siblings do. By straddling this critical divide, Gen X feels comfortable in both traditional and digital markets. Opinions of Gen X vary greatly. As Gen X came of age, they were called slackers, loners, and apathetic. However, as Gen X emerged into adulthood, the descriptions changed. They are often called independent, dedicated, savvy, and innovative. Many of this generation grew up as “latchkey” kids, coming home to an empty house because both parents worked. Because they came of age during a time of high unemployment and a stagnant economy, Generation X tends to be skeptical and cautious, with a bit of cynicism thrown in. They also look for lower price, high value options that are convenient. In June 2015, CrowdTwist conducted an online survey of just over 1200 North American consumers between the ages of 18 and 69. Approximately 1/3 of the people who participated in the survey were part of Generation X. The results of this survey provided critical insights into how Generation X develops brand loyalty and how brands can retain that loyalty. Due to this generation’s built in skepticism, brands have to work to gain their loyalty. High quality products and excellent customer services are two components that members of Generation X value. They also want brands that are authentic and trustworthy. They must be relevant and stay relevant. Brands must prove they have value. Marketing pitches and overt salesy advertising are two things that turn members of Gen X against certain products. The good news is that Gen X tends to stick with the brands they love. Almost 50% of Gen X survey participants indicated they are extremely loyal or quite loyal to their favorite brands. Only 14.6% said they are quite willing or moderately willing to try new brands. If you are targeting Generation X, you need to understand what it values if you want to develop brand loyalty with this age group. They can be cynical, skeptical and cautious. That requires a company to prove their authenticity and relevance. Gen X wants high value, cost effective options. They expect good quality products at affordable prices. They also love it when these deals are easy to find and easy to purchase. Once your brand earns the loyalty of a Gen X member, that person is likely to remain a loyal customer for years to come. Storytelling has been a part of human interaction for millennia. From the ancient time when families gathered around a fire for protection from predators, to the modern gathering of children around a preschool teacher, stories are a way for people to convey ideas and share experiences. The power of the story also works for building brands. Learning how to build a brand story begins with the past and moves forward. Every person who ever started a company had a reason for opening the doors. It could be to sell a product the founder invented. It could be to solve a known consumer problem. The reason could be to fill a particular niche. No matter the reason, the details of who founded the company and why is important for building the brand story. Another aspect you need to record is why the brand took the direction it did. The founder may have started the company in one direction, but for one reason or another, the brand took its own path. Recording what happened and why is important for moving the brand story forward to the present. The next part of how to build a brand story is knowing where the company is going. Every brand needs a plan for future growth. That plan should be a natural outgrowth of the brand’s past and its present trajectory. The future story is a vision of where the company’s owners want the brand to be in a given time frame. It needs to be well thought out, figuring in potential changes in the market and industry. It needs to integrate the brand’s vision, strategies, and goals. What does your brand stand for? A brand’s values demonstrates what connects it to the world around it. Defining a brand’s values needs to be more than just stating an idealized version of what the brand should stand for. It should be an authentic statement of what the brand actually stands for. Ask a customer what your brand stands for. You might be surprised at what you hear. The values that customers perceive may not be the values you want your brand to stand for. You have the power to redefine the perception, but it begins with knowing the values you want it to stand for. Knowing your brand’s history, its future, and its values gives you the building blocks to tell your brand story. Your story needs to be authentic and honest. It should be a succinct statement of where your brand came from, where it is going and what it stands for. The story must demonstrate your company’s purpose. It should invite your audience to be part of the brand’s future. Learning how to build a brand story is just the first step. You must align every aspect of your company with this story. Consistency demonstrates authenticity, which, in turn, builds trust with your target audience. The story should be an integral part of your website, your marketing, and your advertising. It needs to be part of your internal training for new hires. It needs to be a part of the fabric that makes up your brand. If there is one thing that marketers know how to do really well, it’s write blogs. We do research, look at trends, write our findings, and publish them for the world to see. After publishing a number of articles we noticed that one of them did really well. “Four Things You Can Learn About Real Estate Marketing From Bon Jovi” Is one of the most viewed blog articles on our website. Aside from being a well-written article with profound insight, I was wondering if there was any other reason this article drew a considerable amount of online traffic. There is only one reason I can think of for this. People know and care about Bon Jovi, which made them curious about what the article had to say. Today, there are more brands, franchises, and celebrities to talk about than ever before. It’s time we start using them to our advantage. This article explores how the world of pop culture presents a creative marketing solution for anyone who wants to increase their online traffic with their online blog. To read the article “Four Things You Can Learn About Real Estate Marketing From Bon Jovi” click this link. Lions And Tigers And Bears? Nope. Zombies. For the last decade or so, zombies have become a pervasive part of American culture. The Walking Dead is one of the most popular shows on television. There are countless articles about zombies online, including this one that explains why a zombie apocalypse could actually happen, and Canada’s parliament even discussed the possibility of a zombie apocalypse on the parliament floor. Whether it’s just fun to think about or an excuse to hoard hundreds of cans of tomato soup in your basement, people talk about zombies. There was once a time when comic books, and the people who read them, were seen as nerdy or stupid. Look at any movie from the 80’s. What was the easiest way to convey to the audience that a child was a social outcast? Make the kid read a comic. BOOM! Audience knows this kid is weird and awkward but he probably has a heart of gold because the kid is also the main character. Fast forward to 2017 where 16 Marvel films have grossed over 10 billion dollars worldwide and you will know that times have changed. Today, comic books aren’t seen as nerdy or lame because everybody is watching and loving these films. With so many movies full of allusions to rich, decades old backstories along with pop culture references and endless Stan Lee cameos, these movies are fun to watch and even more fun to talk about. Take advantage of that! Whatever you end up writing about though, make it relate back your field of expertise. Otherwise people won’t read your blog in a way that supports your business. For example, if you do opinion pieces on politics you could write something like… “Why ‘Captain America: Civil War’ Is A Metaphor Of Today’s Political Divide.” Actually, don’t write that. I like that one. Write your own article! Take Advice from Jean-Luc Picard: Engage! One of the best things about pop culture is that EVERYONE has an opinion on something. Which Batman is your favorite (Ben Affleck. Obviously), what was the best Lord of the Rings Film (Fellowship), and did Han really shoot first (Yes. Yes he did)? The thing about opinions is that they can’t be proven one way or another, but that doesn’t stop people from sharing theirs. So if you post an article about why Indiana Jones could beat Bruce Lee in a fight, expect someone to disagree with you. When they do, have a friendly argument about it. These back-and-forth exchanges are interesting to both the commenter and other visitors who may engage in the conversation themself. If, through these discussions you become inspired with a new idea, or decide that your original article was wrong, write a new article! You can even tag the commenter who inspired your new article. This gives you an air of genuineness and will further encourage other readers to comment. The point is, people reading your articles want to be more informed, but they also want to be entertained. That doesn’t have to stop when the article is finished. So keep making your content with your visitors in mind. This will encourage you to write content that keeps brining people back for more. Whatever industry you happen to be in, these creative marketing solutions should be able to help you increase your online traffic. There is an endless number of ways to talk about any subject, so let your creativity run wild. If we can write an article about Jon Bon Jovi that relates to real estate marketing then you should be able to discuss almost any topic there is. Whatever you end up writing about, just remember; your article should be fun, relevant, and engaging so people keep coming back to your website to see what you have to say next. Most companies will have a brand marketing strategy. A great way to use a strategy is to work with the community and advocacy. Having advocates and engaging with community will help your brand grow. Advocates are customers, employees, fans, and influencers. Brand advocates are dedicated fans whom the company should build closer relationships with. The best way to advertise is through word of mouth and advocates in the community will do that. When it comes to social media, it is important to engage, grow and leverage the audience. Some ways to grow your social media audience include providing an incentive (gift card), reaching out to the offline community, asking the right questions, and finding people who are advocating your brand already. Engaging your social media community can include having a welcoming environment, timely responses, and reciprocity. Make sure to monitor your community space. Engaging with influencers and advocates can bring value. The influencers are bloggers, speakers, and authors. A good idea is to invite these people to an event. Influencers and advocates are the ones spreading information about your company through word of mouth. When building a brand advocacy program, it is important to have program goals, criteria for selection, a plan for onboarding and a continued engagement plan. With an advocacy program it is important to remember the 3 R’s: relevance, reach and resonance. With an employee advocacy program, it is important that both employees and high up exec people post and share company content on social media. Social media platforms include Twitter, Facebook, LinkedIn, Instagram, YouTube, and Snap Chat. Twitter is for using hash tags, monitoring keywords, hosting events and having chats. Facebook is for having interactions (comments), and using events to create buzz. LinkedIn is for creating groups, and posting content related to business. Instagram is for visuals, finding community, engagement, and boosting brand visibility. YouTube is for collaboration, anonymous comments, healthy debates and connecting with viewers. Snap Chat is for having a unique snap code, ghost codes and direct engagement (reaction snaps to followers). Each social media platform is unique and has its own purpose. Metrics for ROI are community growth, engagement and brand love. Quality over quantity. You can use the spot check method and randomly select a few followers and look at their profiles to see what kinds of people are following your company. Engagement can include the number of likes for a post. Brand love is positive testimonials from third party blog posts. Paying attention to your community is important. By reaching out and engaging with advocates, will help your brand. Reaching out and engaging in all the social media platforms will help as well. The more you put into getting your brand out there, the more your brand will grow. You can have a very successful brand marketing strategy. Community and advocacy are two ways to help your strategy.